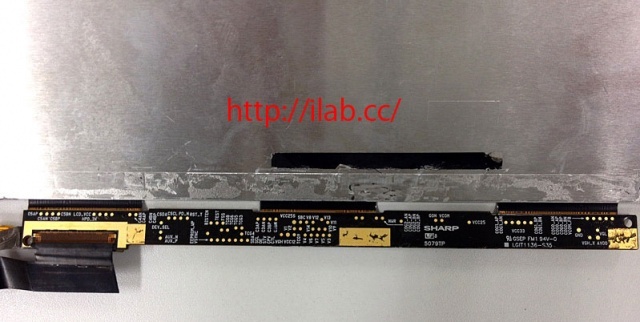 iLab Factory, Chinese repair parts reseller, shows a Sharp made LCD panel which is considered to be for iPad 3. The size of this LCD is 9.7 inch, same with iPad 2, but this LCD has 3 panel cables, one more many than iPad 2. I expect this additional cable means that new LCD supports XQGA.